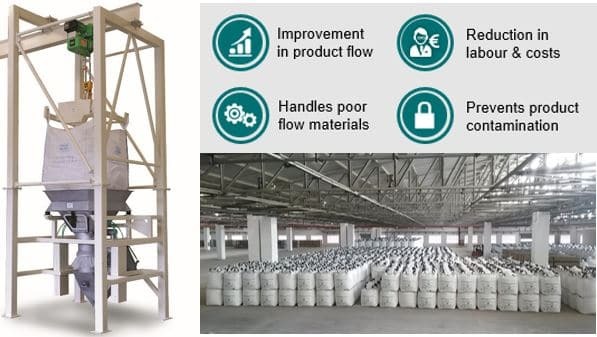 DARMSTADT - Schenck Process a global and trusted supplier of bulk material handling systems, recently engineered a solution for Everbuild Building Products Ltd, that offered additional value, on top of the benefits expected to be achieved, from a high quality conveying system and process. Everbuild, part of Sika AG, a leading manufacturer of sealants, adhesives and building chemicals supplied worldwide, were seeking out a new process for handling specific materials onsite. Their main requirement was for a dust-free environment with efficient output, which made FloMat Discharging Machines and Pneumatic Conveying Systems; all from Schenck Process UK, an ideal fit. Whilst engineering a full turn-key bespoke system for Everbuild, which included Electrical Controls & Instrumentation for easy operation, the team at Schenck Process were also able to offer a solution which made better use of their operational space. As a consequence, Schenck Process were able to help Everbuild maximise their overall operational productivity. 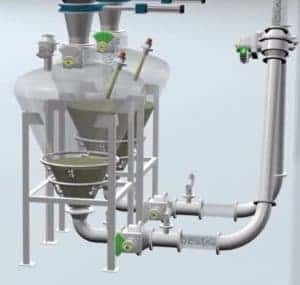 Schenck Process’s FloMat Bagging equipment and their Pneumatic Conveying Systems are recognised as two of the best-in-class brands for these technologies. The FloMat Filling and Discharging equipment efficiently enables the supply or collection of bulk materials, using a bagging system. Designed to avoid the risk of material loss, the systems are also engineered to better utilise space, at the start or end of the process. 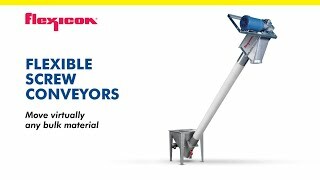 They are very simple to operate; thereby removing any labour intensive, manual involvement and instead replacing that with quicker, safe feeding and discharging for large volumes of material. From an operational perspective, the systems also enable tidy storage and easy transport of material. Schenck Process’s Pneumatic Conveying Systems proudly benefit from having 40 years of acquired engineering knowledge designed into them. Whilst moving materials in an enclosed, dust free environment, using compressed, pressurized air, the systems also provide very high levels of reliable performance, intelligent control and data storage, as well as features that minimise power consumption and bulk solids degradation – as seen in the new ProPhase™ Dense Phase System and its PHASiQ™ Controller. With the client and their process in mind, Schenck Process solutions open up a number of cost, time, data learning and efficiency benefits to the many industries that adopt bulk material handling, as part of their production process.